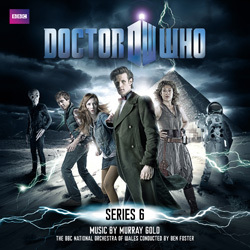 The Series 6 release of Murray Gold’s exhilarating music follows in the footsteps of its predecessors. Murray Gold’s musical career spans cinema, TV, stage and radio and his extensive list of achievements includes Queer As Folk, Randall & Hopkirk (Deceased), Casanova, Alien Autopsy, The Devil’s Whore, Shameless and Torchwood. The years of composing music for Doctor Who has led to his work being performed at a special Proms concert at the Royal Albert Hall, a celebration of the music at the Millennium Centre Cardiff and a place in the Classic FM Hall Of Fame. This release is a 66 track double album featuring lush performances from The BBC National Orchestra of Wales. 21. Which One Is The Flesh? 19. What’s Left To Be Scared Of?